April ordinary Assembly meeting of the Istanbul Chamber of Industry convened at ICI Foundation Vocational Education Complex on April 26, 2017 under the main agenda of “The Importance of Turkey's New Vision with regard to Our Economy and Industry after the Constitutional Change”. ICI Assembly meeting was moderated by Zeynep Bodur Okyay, ICI President of Assembly, and was attended by Nurettin Canikli, Deputy PM. ICI Chairman Bahçıvan continued as such: “It is important for different groups to empathize about the Presidential Government System. Instead of conflict, social polarization and tension; democracy, peace, stability, and the belief in the country's integrity must determine our route. The key in achieving coordination during the reform period is synergy and cooperation among all stakeholders. There must be a closer cooperation and dialog within the real sector. “All prosperous countries throughout the world history acquired their wealth by means of industry. 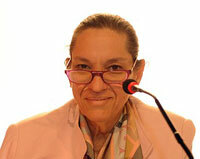 If we want to achieve rapid growth in Turkey, industry must be the backbone of that growth. In an environment surrounded by global and regional uncertainties, we must continue to support industry. We see Asian countries like China, Vietnam, India, and Thailand that have outpaced global growth and export volumes in the last decade. These countries are among the ones increasing our foreign trade deficit. We have to find out how to compete with these countries. We may increase our share with a technology-oriented industry strategy instead of a sector-oriented one. It is a must to have mega projects as well as large projects in the field of industry. This country still has a story to tell. We are aware of that but should ensure world knows as well. Noting that everyone is naturally curious as to how the new system and vision will affect economic life, Bahçıvan noted that this is now a transitional period and it is extremely important for different segments of society to empathize about the new system. Highlighting that the first regulations in the upcoming period will be on the new government system, Bahçıvan stated that it is a common desire of all for such steps to be taken in the most beneficial way for our economy in the long run. Stressing that all reforms must be carried out in harmony and coordination in order for structural reforms in different fields to be effective and productive, Bahçıvan pointed out that it is important to avoid multi-headedness in economy and to ensure coordination between ministries in the new period. Bahçıvan noted that the key in achieving this coordination is synergy and cooperation among all stakeholders as well as closer cooperation and dialogue with the real sector. 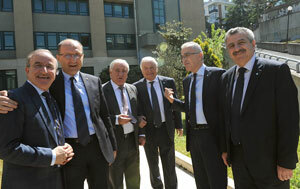 Bahçıvan pointed out the urgent need to improve the investment climate. Having stated that they have welcomed the measures recently taken by the government to improve the investment climate, Bahçıvan noted that not only domestic investments but also foreign direct investments, which are needed largely, should be revitalized. Reminding that European Union is the biggest business partner in terms of both foreign direct investments and foreign trade, Bahçıvan said that there should be a sincere and sustainable relationship with the EU with a precise schedule and results removing uncertainties. Bahçıvan indicated that the demand voiced by ICI to revise Customs Union and expand its scope in order to accommodate changing commercial conditions continues to be relevant. Bahçıvan emphasized that an environment where risks are reduced and the "safe country" perception is further strengthened will also revive the industrialists' and producers' desire to invest. Having noted that another core need of the industry is cheap, safe and sustainable energy, Bahçıvan stated that they expect the implementation of policies that will enhance the industry’s competitiveness in line with the national energy policy. 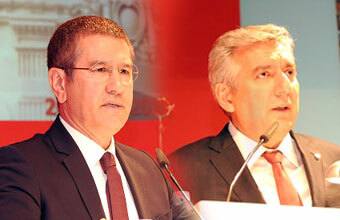 Pointing out that current VAT policy brought a burden on industry to transfer operating capital to the public using its already scarce resources, Bahçıvan said that they are excited about the developments regarding changes to the existing VAT system and eagerly await the outcome of this promising process. Following Erdal Bahçıvan, Nurettin Canikli, Deputy PM took the stage and made important statements about several issues on the agenda of economy, industry and industrialists. Pointing out that export volume and global trade shrunk after the 2008 global crisis, Canikli argued that the protectionist trend is a rhetorical one. Canikli noted that protectionism is not possible in today’s well-advanced environment, and that no one can afford to slow down globalization. Indicating the risks in the region surrounding Turkey have been declining in recent months, Canikli stated that they left the worst behind, due in no small part to the policies implemented in Turkey. 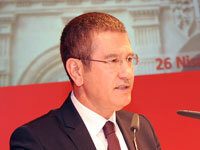 Canikli declared that they are cooperating with all stakeholders when making decisions on economy. Citing the credit volume created by Credit Guarantee Fund in the last period as an example, Canikli reported that credit volume increased to TL 141 billion and the number of beneficiaries increased to 238,000. Denoting Turkey should focus more intensively on its economic agenda following the referendum, Canikli noted that they are about to complete the work on production reform package. Emphasizing that traditional production forms cannot help Turkey escape the middle-income trap, Canikli pointed out that they need to embrace a production system based on high technology and products with high added-value. Speaking of the “super” incentive model in order to realize this transformation, Canikli noted that they will adopt a special incentive system tailored for companies engaged in sectors that will drive this transformation, in line with their needs. Remarking on the high unemployment of 13% in January, Canikli stated that this increase was partly due to the growing shift from agricultural to non-agricultural employment in addition to the natural increase. Referring to need to create over one million jobs each year, Canikli emphasized that they created 850 thousand new jobs in a short period of 3 months, which he cited as a remarkable achievement. Canikli also added that there will be no increase in public service prices this year, and that the two base point increase in inflation last year due to the public sector. Noting that they offer their support for those engaged in production and investment, Canikli pledged to continue their support in the future. 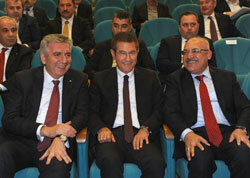 Deputy Prime Minister Nurettin Canikli later listened to the ICI Assembly members’ speeches on the agenda, and responded to questions.